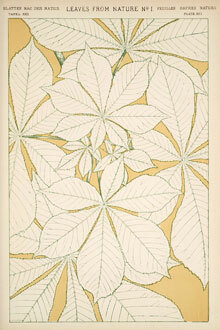 Owen Jones (1809 – 1874) was a London-born architect and designer and one of the most influential design theorists of the nineteenth century. 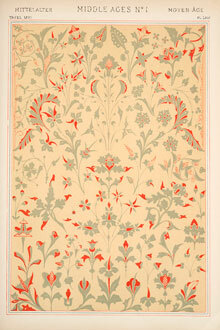 Jones was a pivotal figure in the formation of the V&A through his close association with Henry Cole, the museum's first director. 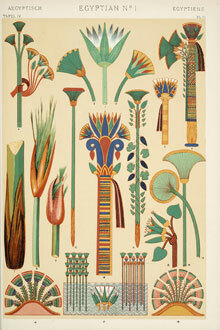 Jones was also responsible for the interior decoration and layout of exhibits for the Great Exhibition building of 1851. 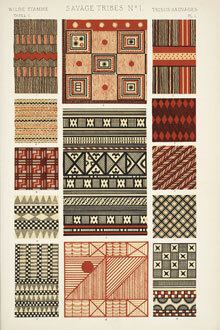 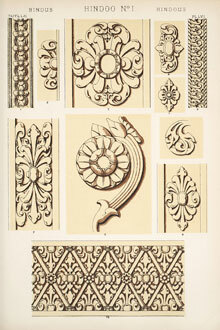 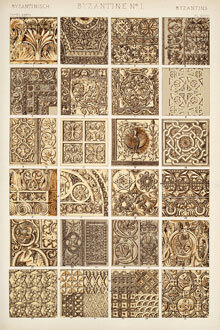 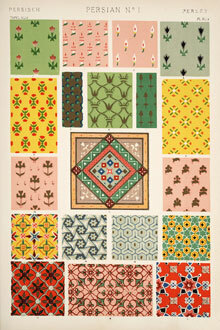 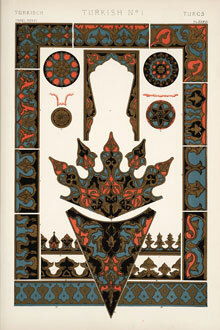 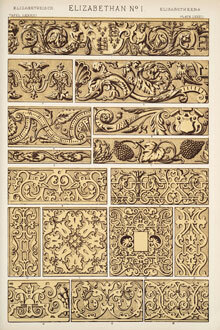 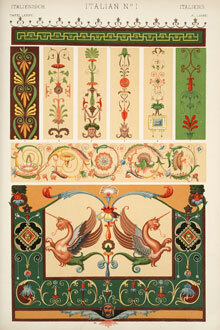 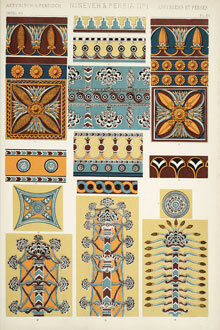 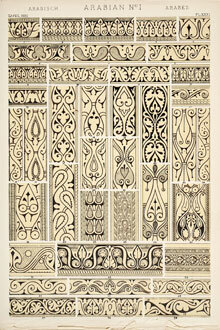 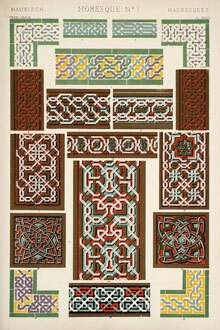 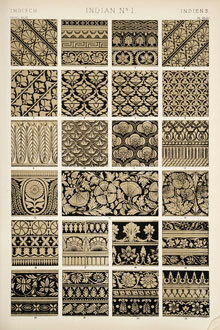 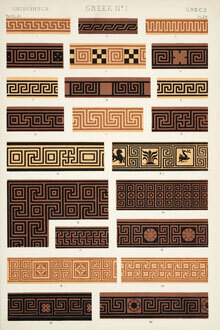 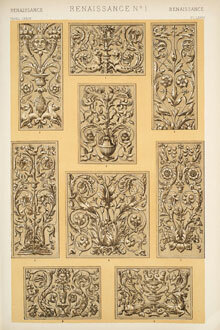 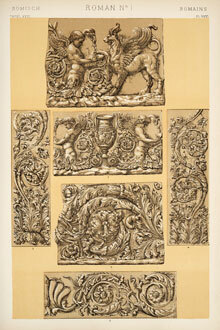 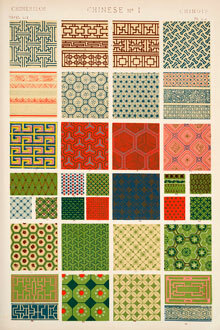 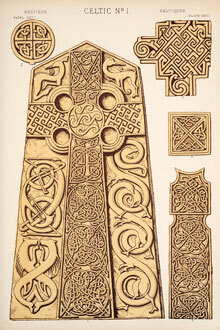 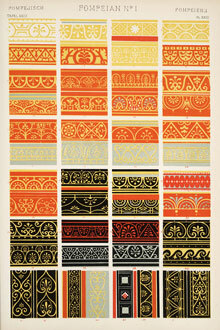 These design propositions also formed the basis for his seminal publication, The Grammar of Ornament, the global and historical design sourcebook for which Jones is best known today.